Which Deer Attractant Will Help You Bag That Buck? Home Which Deer Attractant Will Help You Bag That Buck? If you enjoy deer hunting but just can’t seem to get the bucks to get into your rifle’s line of sight, you need to look into buying a high-quality deer attractant. With the right deer attractant you can easily lure in bucks consistently, and quickly. No more sitting around waiting hours on end for that 10-point buck to walk in front of your rifle unprovoked. There are many varieties of deer attractants on the market, however, and they are not all made equal. That’s why we have rounded up a list of what we believe to be the best deer attractants out there. We’ve even added a few tips in our review to help you get the most use out of your chosen deer attractant. So, if you are ready to take your hunting trips from lackluster and boring, to successful and busy, dust off your best spotting scope as you have a look at our list of the 3 best deer attractants on the market today and start bagging those bucks! 5 How Do You Use Deer Attractant? 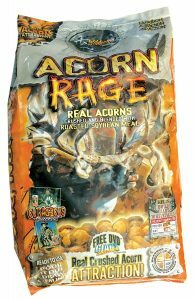 If you are hunting during or towards the end of the Fall season, we recommend using Wildgame Innovations Acorn Rage. This attractant is one of the best there is when it comes to putting off a smell that comes as close to acorns as you can without simply using the real thing. Wild Game Innovations claim that their Acorn Rage releases about 600% more scent than other ordinary deer attractants. This is all thanks to their patented Airborne Technology that creates long-range scent vapor trails to draw in deer from a distance for weeks after it has been placed out. Acorn Rage comes in 4 forms; Acorn Rage Juiced, Acorn Rage Lick-N-Brick, Acorn Rage Drop N Block, and the original Acorn Rage feed. Evolved Habitat Buck Jam is a gooey gel mineral lick that puts of an intense aroma and flavor that the bucks simply cannot resist. 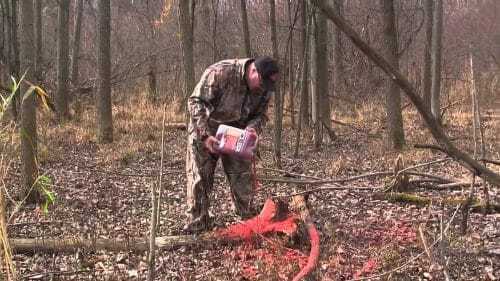 It is easy to pour out and spread around your hunting spot making application easy and quick. You can apply this stuff to decaying tree stumps and logs, pour over grains or apply it directly to the ground. This attractant does seem to take a little while longer than others, but it makes up for it with a bang! 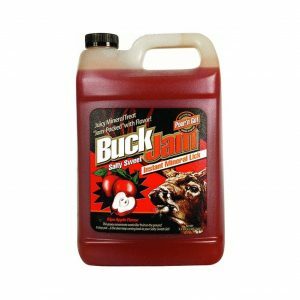 For optimal benefits, we recommend that you use the Buck Jam in one location for a few days or so prior to hunting. Apple Obsession from Whitetail Institute gives a dead-on match for the smell of fresh apples. They smell is strong and makes the mouth water almost instantly. This attractant takes things a step further than most though, as it contains a proprietary taste and scent enhancer called Devour. This enhancer is what really powers this attractants ability to keep the deer coming back for more and more. It is so powerful that some states have outlawed it as they see it as bait. It does the trick to attract the deer, but it is also fortified with a range of essential vitamins and minerals to boost energy levels. If you want to gain the most benefit from Apple Obsession, we recommend that you use during the early fall and winter season. Every deer attractant is as different as the type of deer that they work best at attracting. So, before you make a final decision on which deer attractant will work best for you, there are a few questions you should ask yourself. We have gone ahead and come up with a few of the ones we feel are the most important. 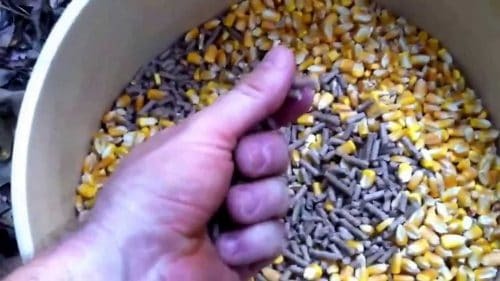 How Does Deer Attractant Work? Deer attractant is often used to encourage bucks to wander out into the open, giving you an edge in hunting them. It does this by simply tempting them with smells of their favorite foods. But they serve a second purpose as well. They help nourish the bucks health by providing them with beneficial nutrients, vitamins, and minerals that they need in order to thrive. Since it’s good for the health of the deer, the best way to get the most benefit out of your deer attractant is to use it throughout a few months leading up to hunting season. By giving the deer attractant time to work its magic, you will have much healthier, stronger bucks to hunt, who also produce much better meat. What Type Of Deer Do You Want To Hunt? This first tip may seem completely obvious, and it is, but it’s also commonly overlooked. It isn’t a huge game changer for most deer hunters, but it can indeed have a huge impact on your the success of your hunting trips. To attract the deer, you first need to know what it enjoys eating the most. 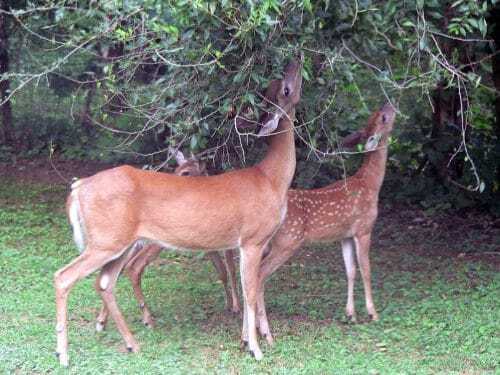 There are numerous types of deer in the world, and all of them have their own preference for certain smells, and tastes. What one type of deer may consider the greatest snack of all time, another deer may turn its nose up to, or avoid altogether. When picking a deer attractant you need to choose one that is scented and flavored to the preference of the variety of deer you are hunting. Mix this knowledge with the next tip I’m about to drop on you for optimal benefits. What Types Of Food Are Naturally Available To Local Wildlife? Certain nuts, fruits, and grains are only available in the wild at specific times of the year. If you pay close attention to what sorts of foods are already naturally available to the deer in your hunting spot during various seasons, you will have a better idea of which deer attractant is going to give you the most results. 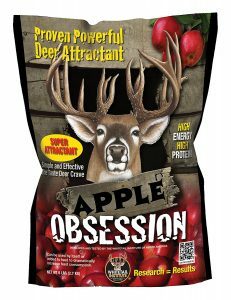 If apples happen to be the primary source of food in the area, then you would probably want to use an apple flavored mineral lick to draw the deer out. If they are more accustomed to acorns this time of year, you would probably do better with an acorn flavored attractant gel that you can pour across the ground. Simply match your deer attractants flavor and scent to the local food sources that the deer already enjoy, and you’ve already won half the battle. How Do You Use Deer Attractant? Deer attractants can be a valuable resource for just about any hunter, but it really only helps if you know how best to utilize it. So, throw that gallon jug in your range bag and let’s get to spreading out our deer attractant. 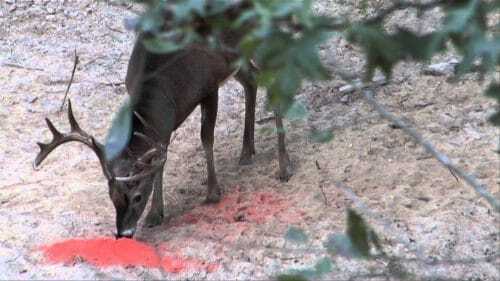 One of the best ways to determine where the best spots are to pour some of your deer attractant is to pay attention to which spots the deer seem to roam around in already. They are already comfortable with visiting those spots, so attracting them to these areas will be so much easier to do. If you can avoid it at all, try not to hunt too frequently in the same spots. Over time you will leave a strong scent that will drive the deer away from the area. So once you find a prime area to spread your attractant, use it for a few trips and then move to a new location for a bit. If you rotate your hunting spots like this you will increase the effectiveness of your deer attractant. Attractant can be spread across or poured onto dying tree stumps, on the ground near your hunting stand, or added directly to premade deer feed. Scope out your hunting spot, choose an are and place out your deer attractant, then just kick back in your deer blind while you wait for the deer to get too curious to ignore the treat you’ve left out for them. If you’ve chosen a good deer attractant you won’t be waiting long. Whether you are a novice hunter looking to bag your first buck or you are a seasoned vet, you can turn your hunting trips up a notch by using deer attractants. In this review, we have taken a look at the top 3 deer attractants on the market, and how you can get the most out of them. We hope that with this information you will be able to pick the best deer attractant to compliment every one of your future hunting trips. If you know of any deer attractant that should have made this list but didn’t, or just want to share your success story with them, please drop us a comment below. Til next time, happy hunting!